1 What is Anxiety ? 2 What are the causes of Anxiety Disorder ? 2.4 Can Anxiety Disorders be Prevented ? From young children to adults and elderly, everyone faces anxiety from time to time. It is a very normal feeling experienced while facing any uncomfortable or challenging situation. In fact, anxiety and fear are very important in the growth and development of children as it prepares and teaches them how to deal with tough situations. So if occasionally you are nervous and worried before making any important decision, attending tests, facing interviews, giving a speech in front of the public or going through financial difficulty or meeting someone important, it is very normal. Because once the difficult situation is over, you feel better and calmer. But if you start losing control over your worries this feeling becomes more forceful and frequent. Also, it starts interfering your quality of living and day to day activities and finally becomes a matter of concern. This condition is medically defined as an anxiety disorder. By the proper treatment and self-help strategies, it can be managed and a person may gain his/ her normal life back. But for this, it is very important to understand the difference between occasionally and temporarily caused functional anixty and anxiety disorder. Most of us think that anxiety and depression are all same things. But you should know the difference between depression and anxiety. 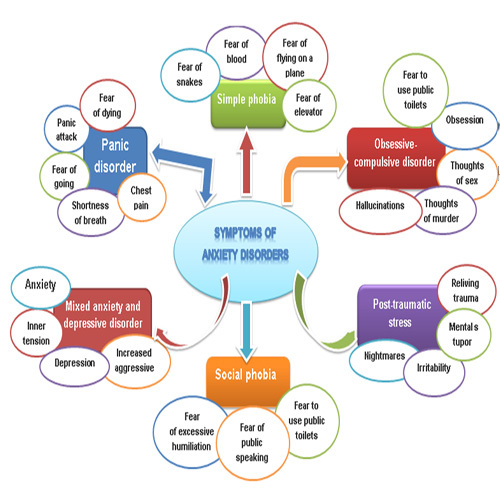 Hence go through the following sections of the article to know the details about Anxiety Causes, Signs and Symptoms of Anixiety, types of disorders, prevention, treatment, etc. Anxiety is a response to a possible threat. It is the body’s natural response to danger, an automatic alarm that goes off when you feel threatened, under pressure, or facing a stressful situation. It is defined as a feeling of fear and apprehension that is characterized by several physical symptoms such as sweating, palpitation, irritability, dilation of the pupil, increased breathing and muscle tension. These responses are controlled by the autonomic nervous system of the body. Usually, these occasionally caused normal responses help the individual to respond to the dangerous situations and improve their performance. Anxiety is not always a bad thing. In fact, it can help you to stay alerted and focused, encourage you to action, and motivate you to solve problems. But when it interferes with your relationships and activities, it leads to a disorder. Also Read: Several Types of Anxiety. Anxiety disorder is a different condition. It is a mental illness that causes fear and worry that is overwhelming and interferes the normal life. It turns on easily, do not subside even when the cause or danger is absent and is too strong. Thus, an anxiety disorder may be defined as excessive anxiety that impairs the normal functioning and causes distress. 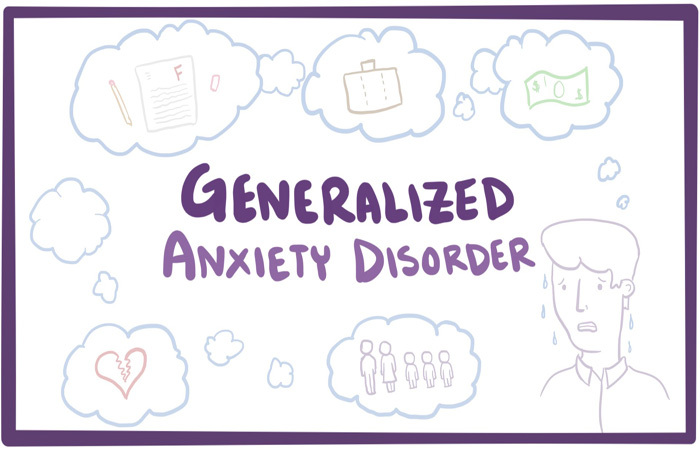 Anxiety disorder is not a single disorder, but a group of conditions that are related. The symptoms of anxienty disorder depend on its type. Also, it may vary from person to person. One may suffer from severe anxiety attacks that strike without warning, while another gets panic at the thought of mingling at a party. In spite of their different forms, all anxiety disorders share a major symptom, ie., persistent or severe fear or worry in situations. We will discuss the types of anxiety below in this article in the detail. But first, let us look at the common hallmark Symptoms of anxiety disorder. The patient feels that his mind has gone blank. Anxious thoughts: These may persist for more than a few weeks to months. Memory, concentration and attention problems. Fatigue or becoming too tired very easily. Sleep problems: People may suffer from chronic insomnia, lack of sleep or trouble staying asleep. Also, if a person wakes up feeling tired, wired and is unable to keep himself calm this is a symptom of anxiety and if it is chronic it is nothing but the symptoms of anxiety disorder. Cold and sweaty feet or hands. Tingling in the feet or hand. Chronic indigestion: As our gut is very sensitive to the psychological stress, anxiety may cause digestive problems such as diarrhea, acid reflux, bloating of the stomach, constipation and pain in the abdomen. Muscle tension: Clenching of the jaws, balling the fist or flexing of the muscles throughout the body are also common. These symptoms become pervasive and persistent. Slowly patient becomes used to it and may not even notice them. Also Read: What is Bipolar Disorder? 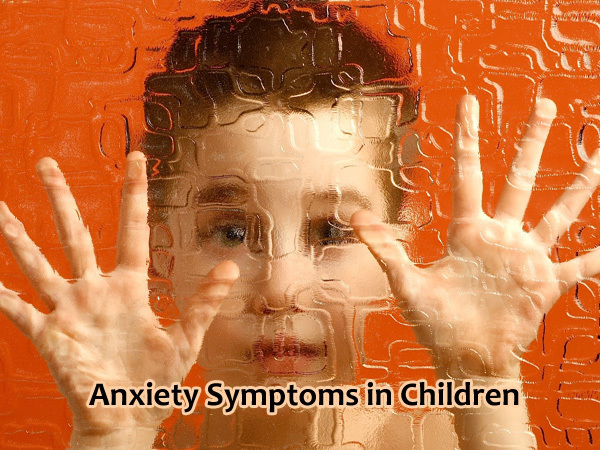 Anxiety disorders may develop in the childhood or even adolescence. Some of them resolve with time but most of them persist even during adulthood. 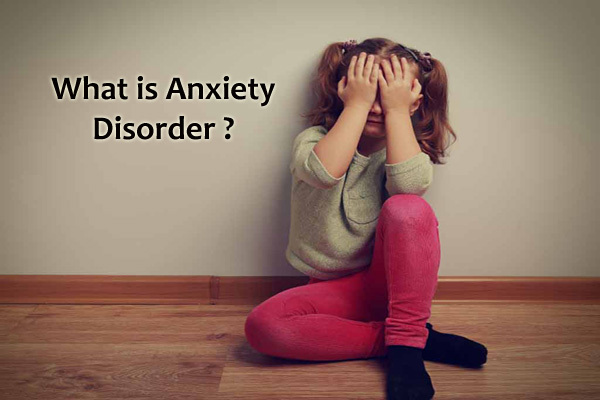 The cause of the anxiety disorder decides the difference in the symptoms in adult, adolescent, and children. For example, in the case of specific phobia the symptoms are almost similar in the children, adolescents, and adults. However, children and teenagers are unable to recognize the fact that their behavior and thoughts are irrational. Children who haven’t learned to speak well or are not able to express their feeling are more likely to complain of the physical symptoms of anxiety disorder such as pain in stomach and headache. Small children may show tantrums, become clingy or cry. The expression of the symptoms by the teens is very much similar to that of the adults. But commonly they are more likely to show mood swings, irritability, and anger. Women are diagnosed with anxiety disorder more often than males. The reason behind this may be that either females are more susceptible to it or maybe males are less likely to report or acknowledge their symptoms. Also, there is a difference in their experiences. Men develop more emotional symptoms such as irritability and tension. Whereas female develop more physical signs and symptoms such as palpitations, chest pain, insomnia, nausea etc..
Now let us discuss in detail about different types of anxiety disorders. Anixiety disorders are mainly divided into 6 major types. Each of them has distinct symptoms. Let us get into their details. It is a long term condition. There are constant fear and worry that interferes day to day activities. Also, there may be a persistent fear that something wrong will happen. Patients suffering from GAD are anxious about a wide range of issues all the time. But there may not be any specific event or the cause of their worry. Although if one of their anxious thought is resolved, some other thought of any different issue may start bothering them. This condition besides causing restlessness and worry also display physical symptoms such as indigestion, nausea, insomnia, dizziness, headache, palpitations, tiredness, and restlessness. GAD is more common in males as compared to females. Also, it is common in people between the age of 35 to 60 years. People who were suffering from GAD may also have related disorders such as social phobia and depression. Misuse of alcohol and drugs are also not uncommon in them. In children, GAD may accompany behavior such as being over-conforming, a perfectionist or unsure of self. They may feel the need to redo the tasks again and again and seeks frequent and regular approval from their parents and teachers. In many people, the onset of GAD is not precise and thus it is not possible to identify. But the patient is aware of their own tendency to worry existing for a long period of time. Panic attacks are also known as a panic disorder. This condition is characterized by unexpected episodes of panic attacks that occur repeatedly. This disorder is often accompanied by agoraphobia. Agoraphobia is the phobia of being in places where it is difficult to get a help or escape, for example, airplanes. The following are the symptoms that may be felt during a panic attack. A person is said to suffer from a panic attack disorder if he is suffering from such panic attacks once or more in a month. This condition is characterized by behaviors or thoughts that are intrusive and unwanted but also are very difficult to control or stop. 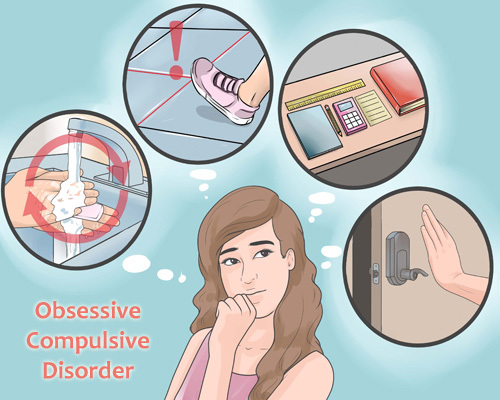 For example, you might see a person suffering from obsessive compulsive disorder cleaning their hands again and again. This happens because they could not get over their thought that their hands are dirty even after washing them. This type of behavior many times becomes a matter of shame and embarrassment for the patient as they are aware that their behavior is silly but they cannot help it. This results in social disability and causes difficulties in day to day functioning. This may be defined as exaggerated and unrealistic fear related to any specific object or place. Some of the most common phobias are fear of height, fear of insects and animals, Fear of crowded places and fear of water or fire. In the extreme cases of phobia, the sufferer may go to any level to avoid the cause of their phobia. But more you avoid more is your phobia strengthened. Although most of the people suffering from any kind of specific phobia know that their fear is irrational and exaggerated, but they cannot control their automatic reactions on encountering the things they are fearful of. This term may also be defined as social phobia. This is the condition where the person lives under the fear of being humiliated, seen negatively or criticized in the public by other people. It is an extreme case of shyness. The most common type of social phobia is performance anxiety. 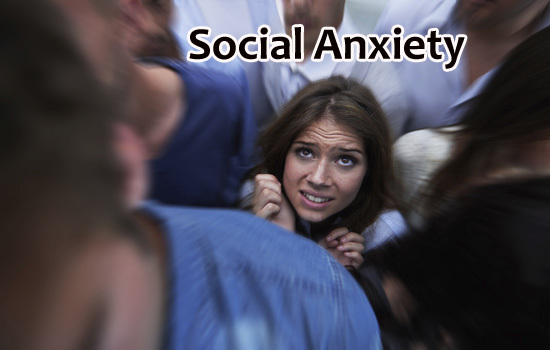 In some cases, social phobia may also be specific where the individual fear a few specific situations. These physical symptoms increase the anexiety of the person as he/ she fears to be noticed by others. These type of people also worry to speak in front of others thinking that they will say something wrong or someone may not like what they are saying or something terrible will happen in response to what they have said. Thus, they begin to avoid such situations or places that may cause humiliation or embarrassment. This is an extreme type of anxiety disorder that usually occurs after a life-threatening or traumatic event. A few symptoms of it are nightmares and flashbacks of the traumatic event. This may make a person avoid the situations and individuals that remind them that event. If these symptoms persist for more than a month, the person is said to be suffering from a PTSD. What are the causes of Anxiety Disorder ? Like other mental illness, anxiety disorder is also not an indication of personal weakness, poor upbringing or character flow. The exact cause of this illness is not known and scientists are still researching on its cause. One of the theory says that anxiety is caused due to a combination of many factors, such as environmental stress and changes in the brain functioning. Studies show that long-lasting and severe stress may change the nerve cells functioning. Anxiety may also run in the family. Some experts also say that anxiety disorders may be a learned behavior on seeing others behaving like this. No lab test is required to diagnose an anxiety disorder. If your doctor suspects you suffering from anxiety disorder by seeing your symptoms, then he may ask you a few questions about your medical history and perform a physical exam. However, various tests may be done to find the cause of the symptoms. For example, blood tests may be conducted to rule out anemia and thyroid issues. After this, the case is referred to a psychiatrist or psychologist. They use specially designed assessment tools to diagnose anixiety disorder and the degree of dysfunction that may indicate any specific anxiety disorder. 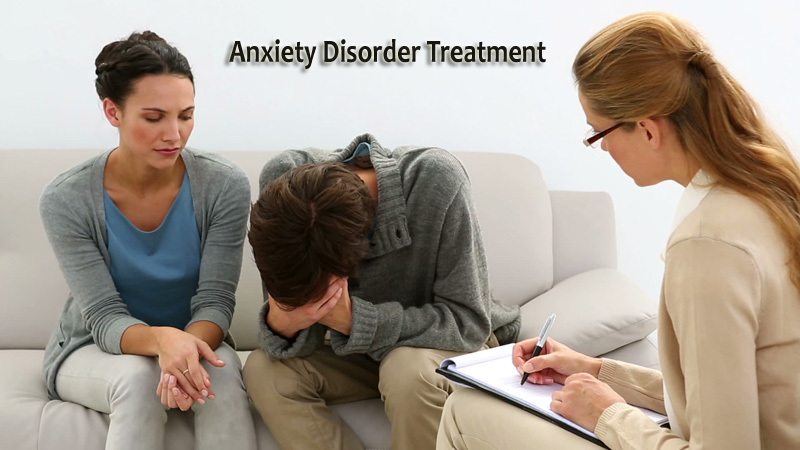 An anxiety disorder can be treated by psychotherapy, certain medication, and self-help. Treatment usually depends on the type and the severity of the disease. Mostly talk therapy, exposure therapy (repeated exposure to the object or situations that create fear) and cognitive behavioral therapy (It helps to challenge irrational beliefs and negative pattern of thinking) has been found useful in treating anxiety disorder. If therapies are not working, the doctor may also suggest some medications such as antidepressants, Beta-blockers, and other anti-anxiety medicines. Besides, medications and therapies there are some things that you can do to help yourself. Below are a few anxiety self-help tips. Try to connect with others and meet one of your friends daily. You can also join any support group. Share your feelings with those you trust and love. Practice meditation, yoga, deep breathing and other relaxation exercises. Exercise for at least 30 minutes, 5 days in a week. Because doing exercise regularly releases a hormone called serotonin which elevates mood. Skip to healthy eating: Eat a variety of fruits, vegetables, complex carbohydrates, milk products and food sources rich proteins. Try to have a sound sleep of 7 to 9 hours daily. Encourage your brain to stay calm. Challenge thoughts that make you anxious and starts accepting the uncertainity. Can Anxiety Disorders be Prevented ? Anxiety disorders cannot be prevented. However, there are some things you should follow to control your symptoms. Anxiety attacks are often the result of our reaction. They become worse the more we focus on them and the more we fear them. Hence, when an anxiety attack is coming to you, you should try to do any or all of the following tips to prevent your symptoms. Always ask your doctor or pharmacist before taking any over-the-counter medicines or herbal remedies. Because these may contain some chemicals, that increase anxiety symptoms. Better to avoid smoking, alcohol, caffeine, trans fats, energy drinks, chocolate, and sugar. A brisk walk (about 30 to 60 min) around your block may also help you stay calm. Do something you enjoy such as listening to music, reading books, etc. Seek counseling and support if you feel anxious regularly with no possible cause. Most of the things you worry about never happen. So, don’t fill your head with worries. Hence by taking some small steps that are mentioned on this page, you can minimize your anxiety and cope effectively. I hope this article will be helpful for you. If you are having any queries about this, please let us know.